We’re currently working on a group project looking at a master plan of the area around the River Trent, running from Cromwell Locks to Averham Weir. "I chose this course at NTU because I'd studied my undergraduate BArch (Hons) Architecture here. I spoke with my tutors about progressing onto the MArch course. I was really encouraged by what they told me about the course and the different projects that we'd be working on. The chance to work with people from different backgrounds doing interdisciplinary work was very interesting. As I already knew about the rest of the environment that NTU offers I was really excited to be staying on here. "We're currently working on a group project looking at a master plan of the area around the River Trent, running from Cromwell Locks to Averham Weir. Each student is focusing on their own task within the overall project and it's really interesting working on an interdisciplinary basis and look at projects from different students' viewpoints. I'm focusing on recreational space and a learning institute, which will fit into the larger project. 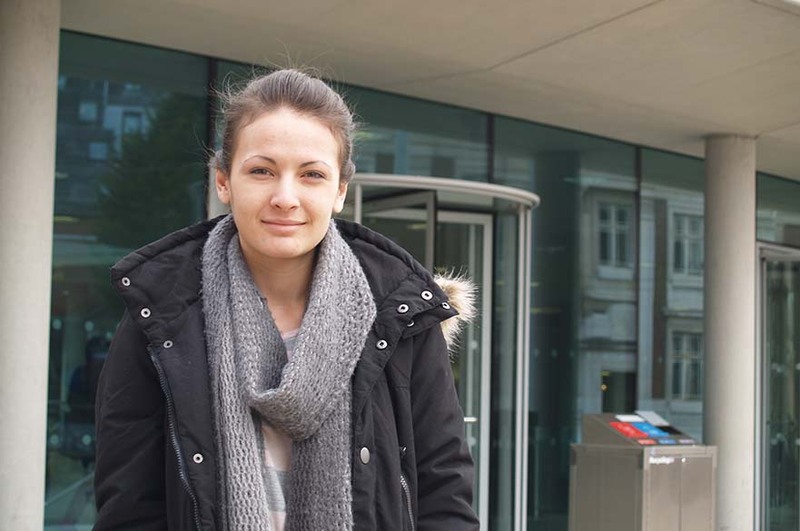 "I've really enjoyed the environment for learning at NTU and the facilities. The workshops have a lot of the latest programming and are very easy to access. The tutors have been excellent and arranged for us to visit sites; they help in any way they can. It's been invaluable to have their support. "When I finish I will be prepared to go into the working environment. With all the interdisciplinary work that we've done, my portfolio will have an excellent range of work."